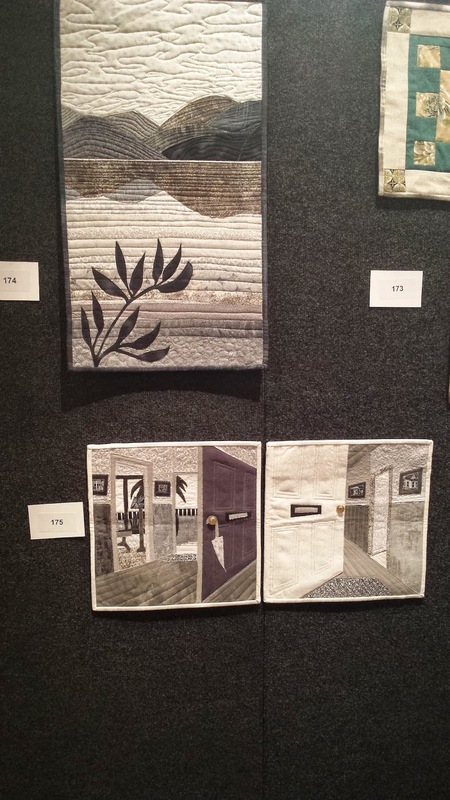 We are fortunate to have four quilting guilds within a 45 minute drive in the Wellington District (New Zealand) so we are spoilt when they hold quilt exhibitions as its only a small drive to the event. Coastal Quilters Wellington (coastalquilters.org.nz) This club has a great website with regular postings and as a member you are invited to join their Yahoo group which members can post latest events, sales and other beneficial information. 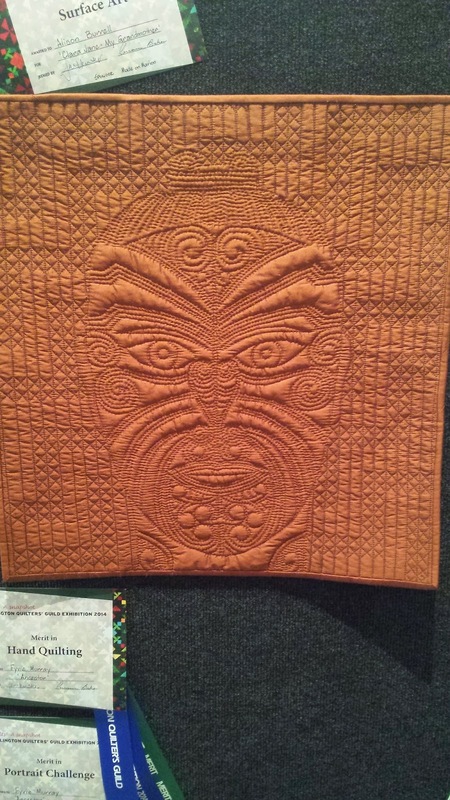 Wellington Quilters held their exhibition recently and today being NZ Labour day, I finally have a moment to post you some of my favourites. 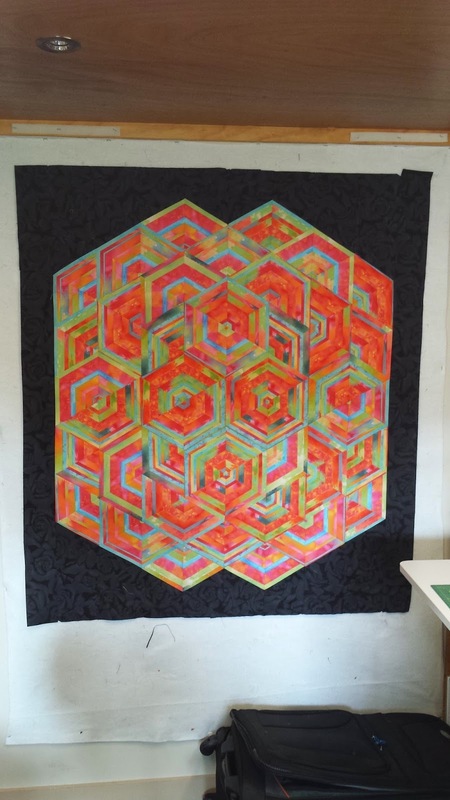 I like the elegant layout of this hexagon quilt. 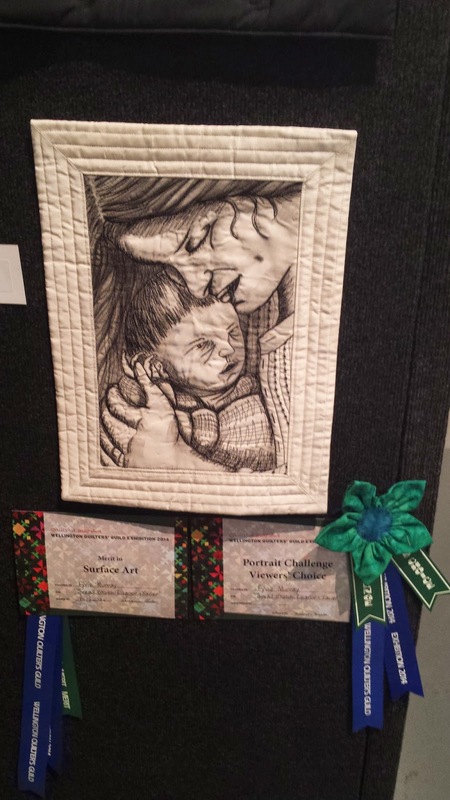 Unfortunately I didn't note the quilt name or maker. 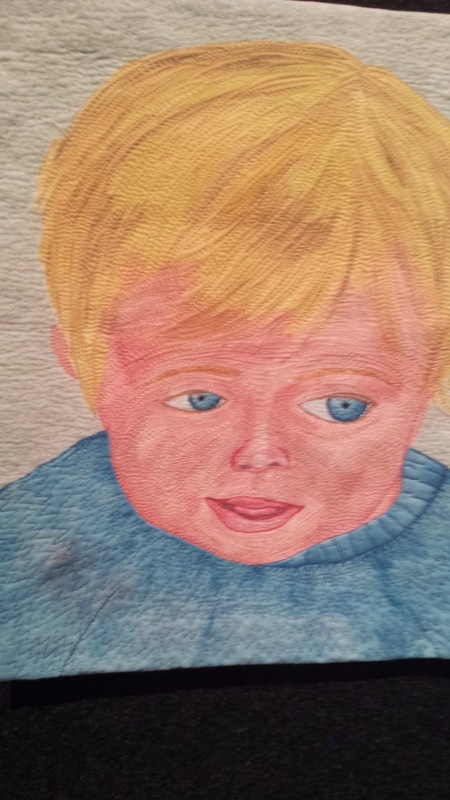 Kaleb by Helen Beaven. Painted using procion dyes. 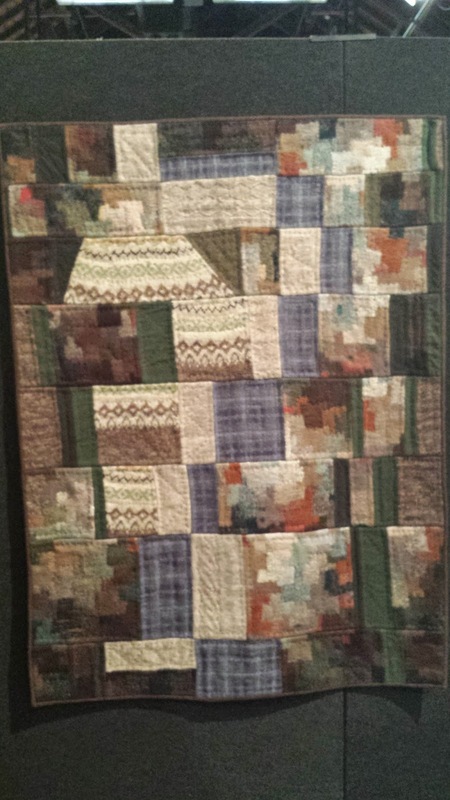 The quilting really enhances the shadowing and colour effects. At the Seaside by Barbara Craig. 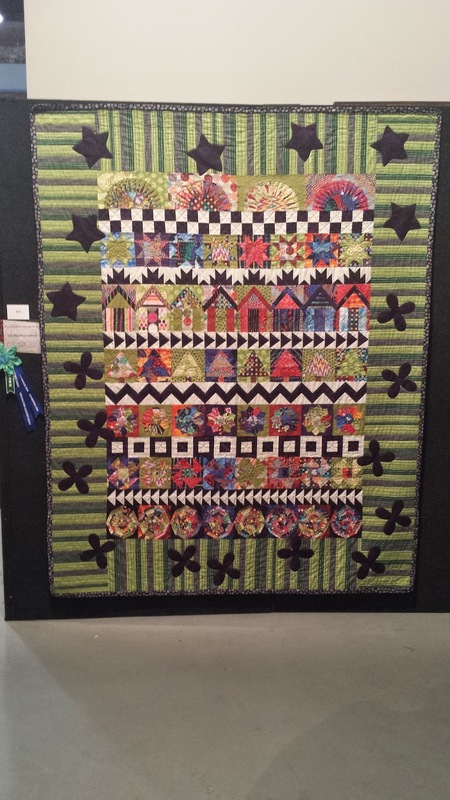 tradition and modern forms in this quilt really caught my eye. 175 Across the Lake and 175 Beyond (a) and (b) by Anne-Marie Cunningham. These two entries made me feel like I was there - within the scene. 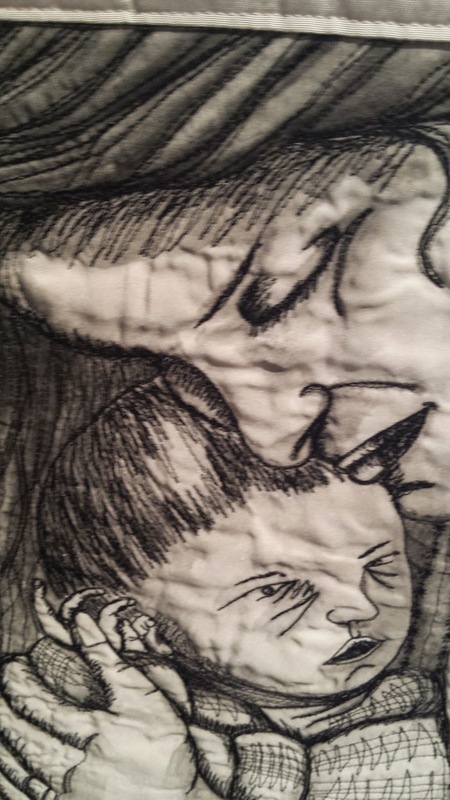 "Disappointment and the grande dame"
and you will see some of her stunning work. 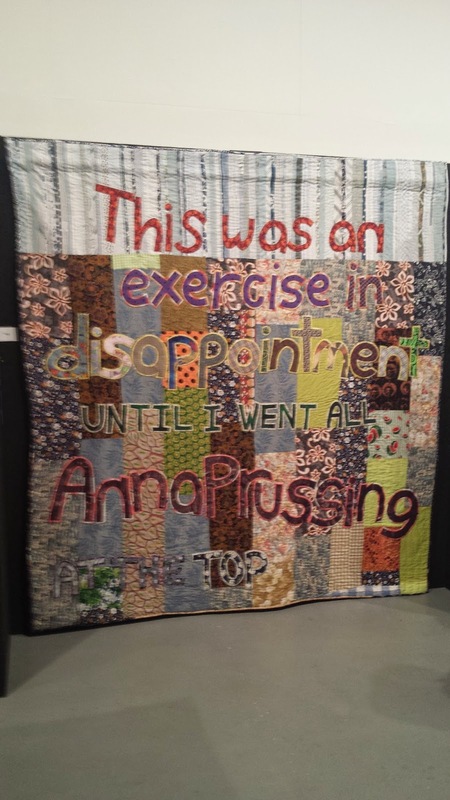 The top 1/4 of this quilt has Anna's influence. 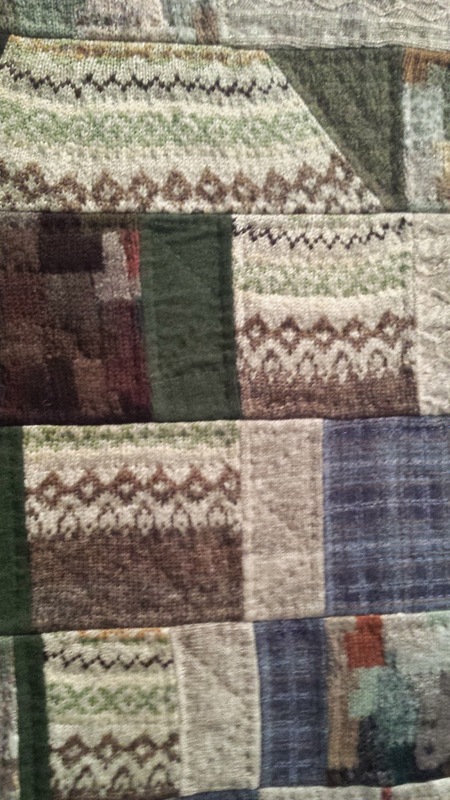 Very clever idea for recycling knitwear. 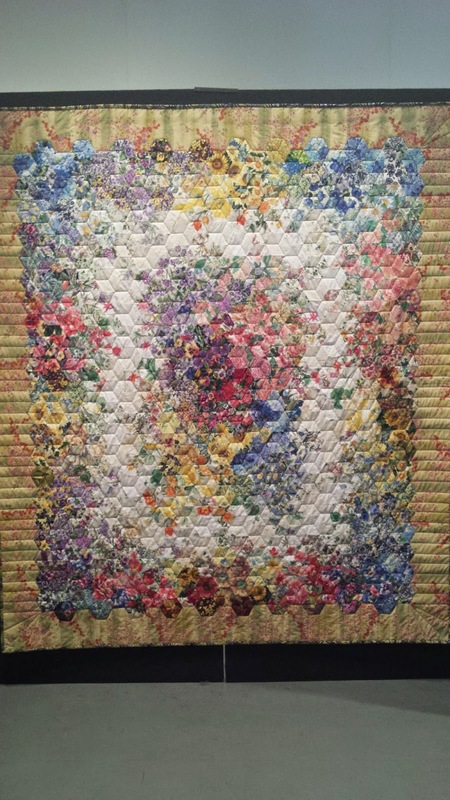 Mix of machine and hand quilting. 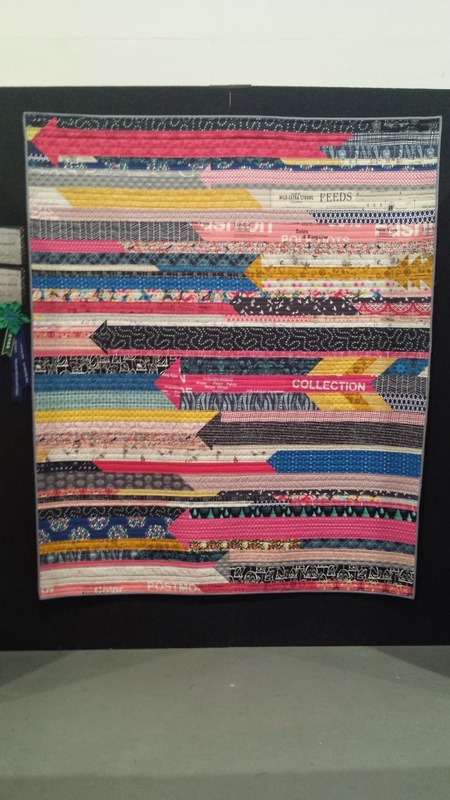 Back to quilting my class sample for "spin those stripes' . Here's a preview on my design wall. 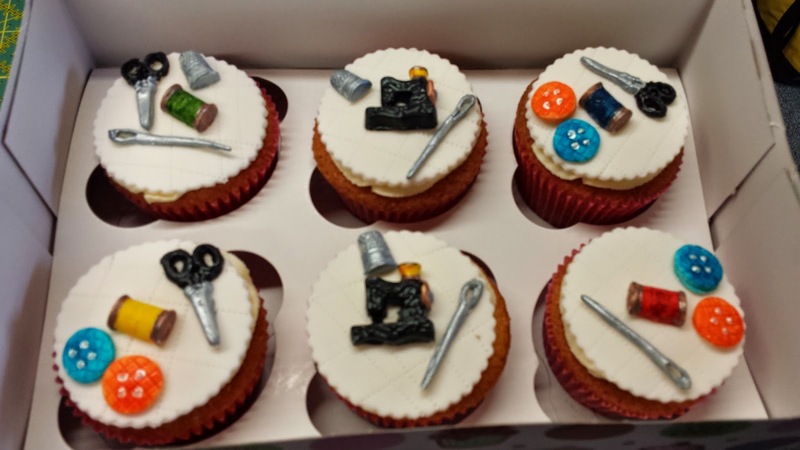 Birthday cupcakes made by my friend Brenda Scully for my birthday this week.